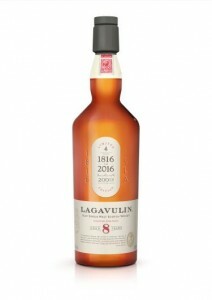 LAGAVULIN 8 YO ~ 48% abv. 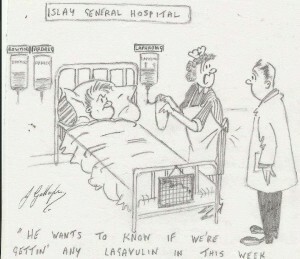 If you drink the Lagavulin 8 Year Old you will be asking the same! Creamy, ashy, smokey, pale, lemony, greeny gold. An opaque white band of gold shimmers on top of the whisky. It reminds me of a fine line of silicone…. Thin oils and, speedy, speedy legs. Lemon, peat, salt. Toffee, greengages: the alcohol sparkles clean into my nose and down into my lungs. Smells of salty knitting. Then, fishy, metallic. Round and limey. There’s American cream soda. Menthol. Then, it’s milk chocolate, sour and cheesey. A bluebells floral. And it’s sour, salty and vinegary. Solvents – esters. Aldehydes into esters. We get floral fragrance moving into solvents. Then, more grounded notes with hens and farmyards…..
Fizzes on the tongue. Light, lemony. Seaweedy. Reminds me of the Orient. This would be a great dram with sushi. Lovely drying at the front of the gums. Light, long finish down into the chest. This is blunter than the 16 YO. It’s like looking up at a medium high stone cliff face. Slightly challenging. This is youthful ~ it’s only boisterous. Prickle in the eyes from the alcohol. Something sour leading to cereal biscuit underneath. Lovely rancid butter. I thought of butter tea from Ladakh ~ which is good when it is fresh and new. Honestly, it is lovely! Lots of oily associated notes. Thin, unpolished, ackward but endearing taste. I love it. Young and Fresh and Full of Potential. Lagavulin 16 YO has realised it’s potential ~ there is nowhere else to go. What could be better than that…..? ?